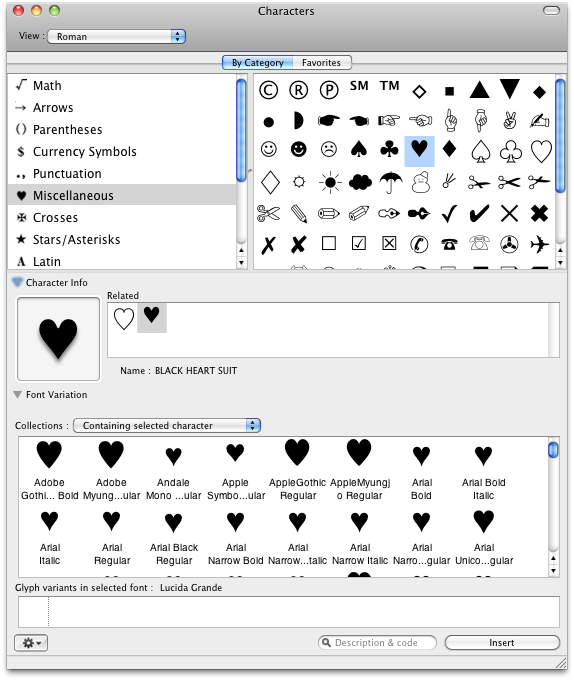 In the upper right corner of the screen, right beside the clock, you can open the character table which opens a window with a lot of different characters, sorted by categories (currencies, arrows, math symbols, ...). Now my question is how can I know which font serves one specific symbol? For example if I insert the arrow "RIGHTWARDS ARROW FROM BAR" I get only a questionmark in my text. Obviously my font does not contain this symbol but how to know which font DOES contain it? I don't have to try all my 200 fonts, do I? Thank you! After you choose the character go to the Font Variation section you might need to click on the triangle at its left side to expand this. 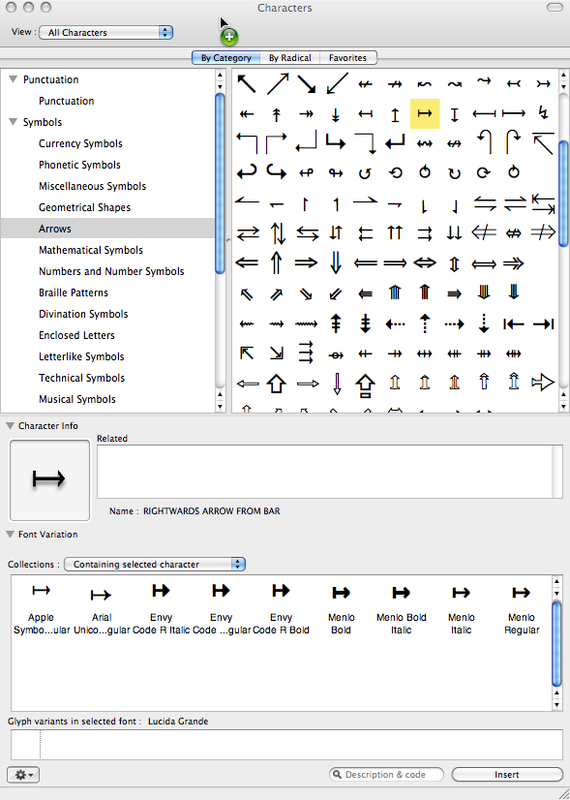 This shows the fonts that include the glyph. Not the answer you're looking for? Browse other questions tagged font character . How to show more fonts in Preview? How to subscript/superscript single character in Text Edit?